This piece needs no introduction. It has been arranged here for 2 flutes and piano and this new sound adds even more excitement to the original. The piano part remains in the original key and flutes play the famous melodic lines above the steady bass. The flutes and piano alternate melodic sections. Sometimes the piano plays alone and sometimes the flutes play the melody with the piano adding newly composed, stylistically accurate counter melodies. 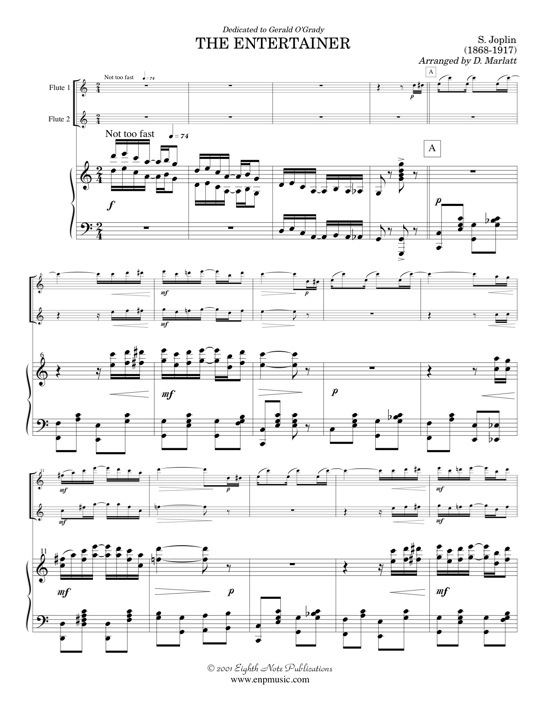 This is a unique addition to the repertoire for flutes and piano.